Little Bay Stampin': Hello, gorgeous! OK, OK, I know it's been the better part of a month since I've posted an actual card for you. But it's November 1st and you know what that means... an amazing new Stampin' Up! promotion! :) And believe you me, this one's a good one! Because the Chalk Talk stamp set is still in production, when you sign up as a demonstrator, you won't get it until the Spring. But as soon as you sign up, you'll get to choose the items for your Starter Kit - pick $125 worth of merchandise for just $99! 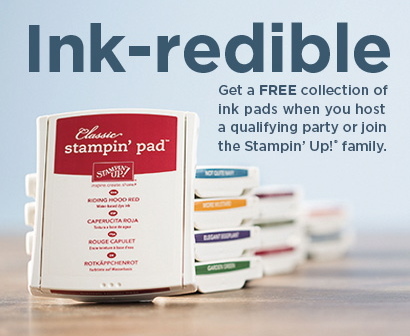 - and at that time you'll get to choose an entire collection of ink pads that will be added for FREE to your starter kit! That's 10 FREE ink pads! A $60 value! Choose between Brights (my fave! ), Subtles, or Regals. So your Starter Kit will really be $185 of Stampin' Up! goodies for only $99! Um, wow! Becoming a Stampin' Up! demonstrator is SO worth it. 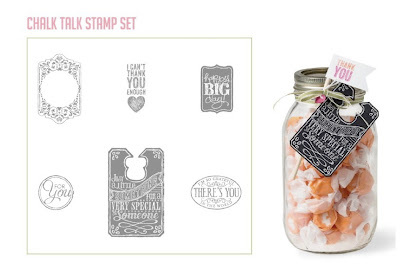 Get 20% off all Stampin' Up! products, and share crafting, cardmaking, and scrapbooking with new and old friends! If you have questions, or you like what I've just shared with you, email me at afkeyes@gmail.com.